Long before its Yellow Cabs, New York was famed for electric taxis. There’s a lot of interest in electric cars these days, but it is more than 100 years since the first electric taxis plied their trade on the streets of New York. 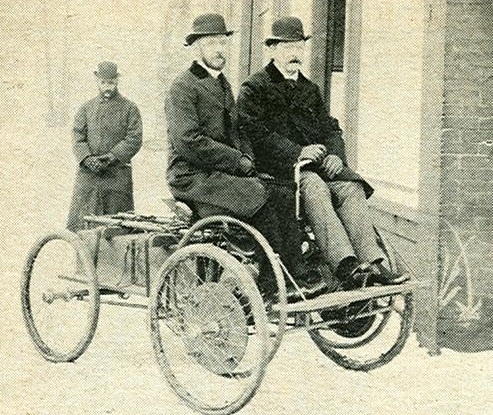 The city used cars from the Electric Vehicle Company to carry passengers, with up to 1,000 running in 1900. Their place in history is not limited to being an early electric vehicle. Sadly it was an Electrobat that caused the first automotive death in the Americas when one ran over Mr Henry Bliss as he stepped from a streetcar. The electric taxis were popular but in 1907 a fire in their depot destroyed 300 of them, and the company never really recovered. But New York was not alone in such innovation; London’s electric taxi company used cars called “hummingbirds” from 1897.